Have you seen this? 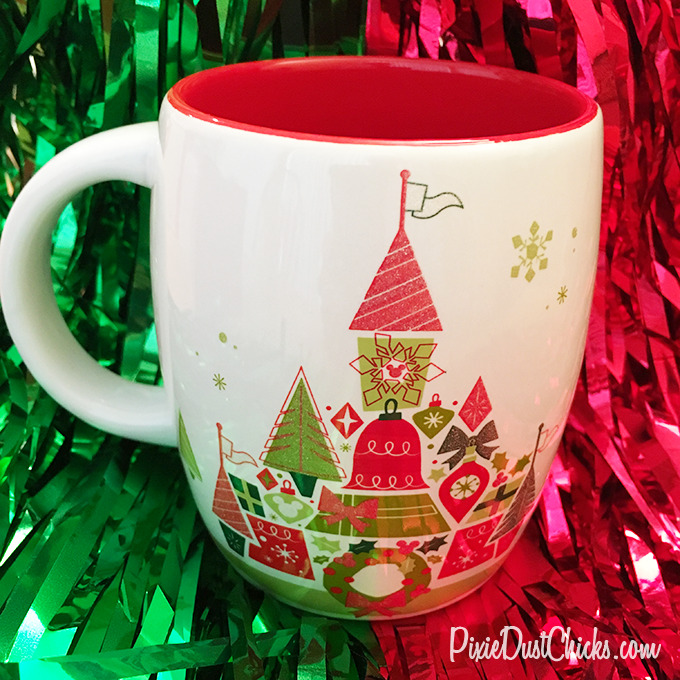 This beauty is our new favorite Christmas mug from Walt Disney World! See the little not-so-hidden Mickey’s? And the Christmas decor of trees, wreaths, bells and more? It’s just so pretty!!! And on the opposite side is the Starbucks symbol as this is a festive collaboration between them and Disney. So what could make it better? Ohhh, right…all the glittery sparkle on different parts of the design!! You might not see it here, but trust us, it’s a sparklefest. Yep, you should have seen us when we first spotted this mug in the Starbucks in Disney’s Hollywood Studios. We were oohing and ahhing and holding it up to the light and turning it around just to watch it glitter!! True story. One Mug for you and one for a friend! So where can you find this mug? It’s available at every Starbucks inside each of the 4 parks here at Walt Disney World. And if you’re looking to maximize your dollar, be sure to do two things: (1) use your Annual Pass to get a 10% discount, and (2) pay with your Starbucks app…you get points for buying these beauties. Enjoy!